What size do you need for your baby? Please see our size chart for general recommendations on sizing. In what season or weather will you use the clothes? 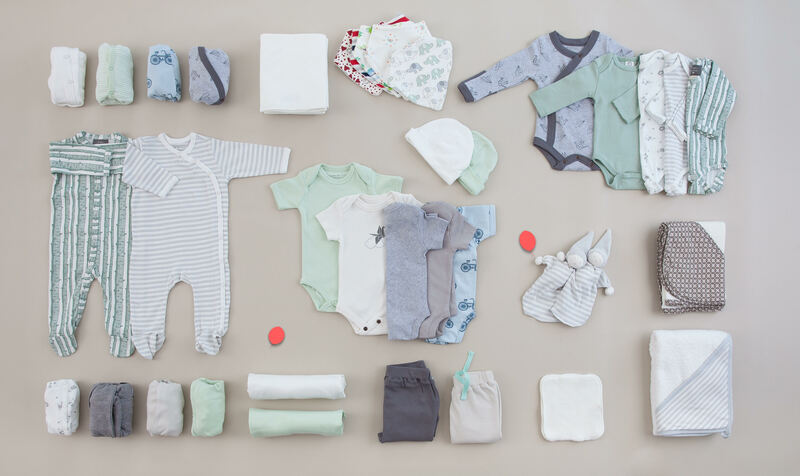 All our sets are made of trans-seasonal basics and all the items are made of the softest 100% organic cotton fabric that is best for baby skin. All our sets are made of trans-seasonal basics and include a mix of short and long sleeves. We include some small variations by season and by age, for example adding a cardigan/sweater in the colder months and a couple of short-sleeve rompers in the warmer months. Choosing organic means limiting your baby’s exposure to potentially harmful chemicals often found in non-organic clothing. Organic cotton is grown naturally and sustainably, without herbicides, pesticides or any other harmful chemicals. Babies and infants are much more sensitive to what we put on their skin than adults. They absorb much more of their environment relative to their body size, and their skin is three to five times thinner than an adult’s and is made up of smaller cells. As a result, it is less resistant than adult skin and substances that come in to contact with baby skin are more easily absorbed and penetrate into deeper skin layers. How many items would you like in your set? Our Full set includes all the essentials, both clothes and accessories, while our Clothes-only set has a smaller selection of essential clothes. We curate the most adorable outfits and currently offer two styles: Classic and Playful. Tip: if you like both you will be able to change for the next size! This is an indication of what you will receive in your set based on our current collection. Although we offer two styles to simplify the process for you, no two sets are the same! We curate the cutest and safest outfits from the best brands. Now if you’re the kind who wants to pick every single piece yourself (we get it!) don’t worry, let us know and we’ll send you our broader selection for approval before we ship your set. Do you want a new or a preloved set? 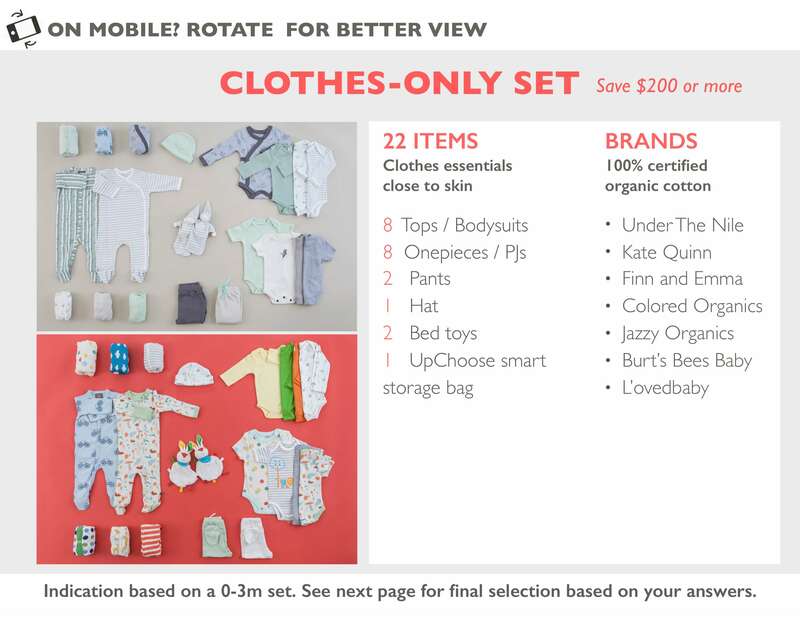 Preloved sets have the same items as new sets but are made with gently-used clothes that moms return to us and are priced at a discount. We offer new and preloved sets. You always have the choice. 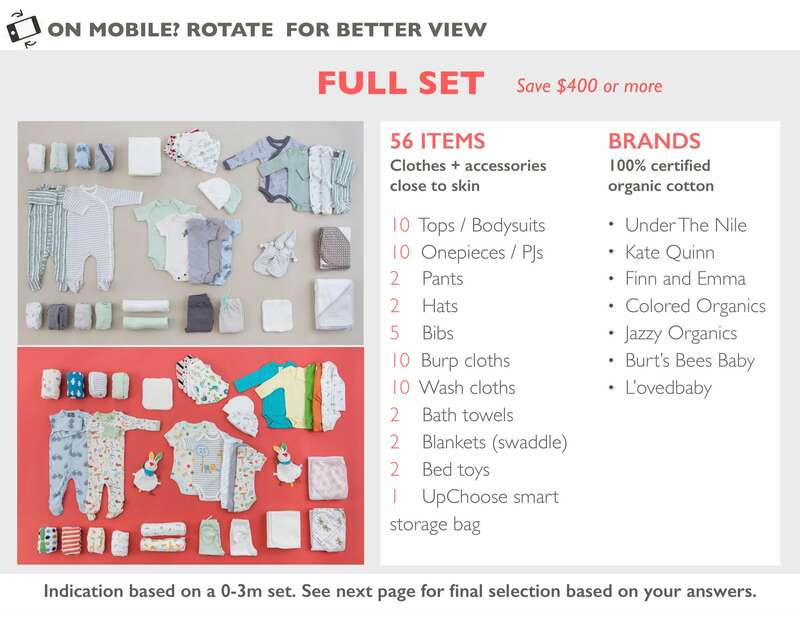 Preloved sets have the same items as new sets but are made with clothes that moms return to us and are priced at a discount. We inspect and professionally wash preloved clothes to ensure they are in the best condition possible. Your information will always be safe and secure. We promise to never send anything that is not useful to your health and wellness.